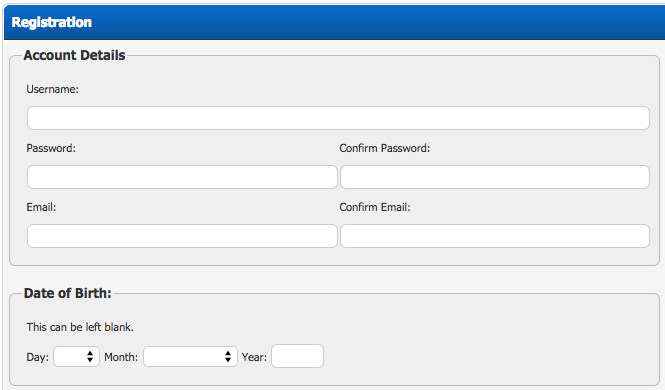 Adds options to require a date of birth in the registration form, and to deny users under a certain age. 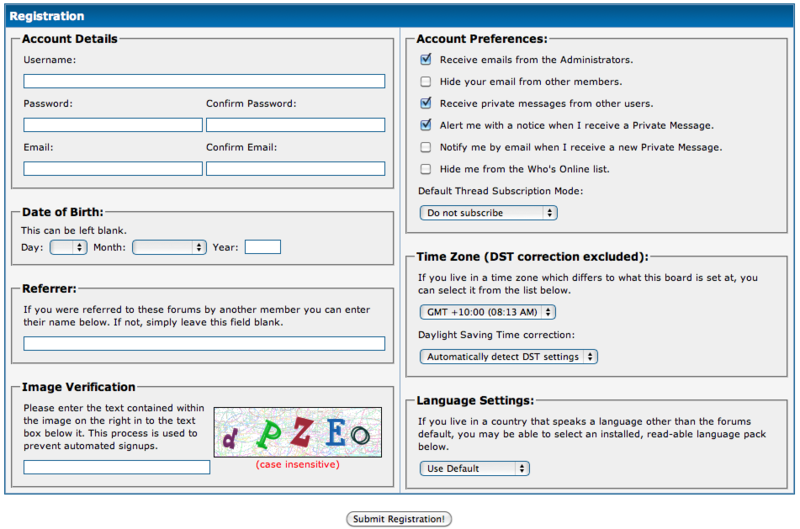 Description: Adds options to require a date of birth in the registration form, and to deny users under a certain age. 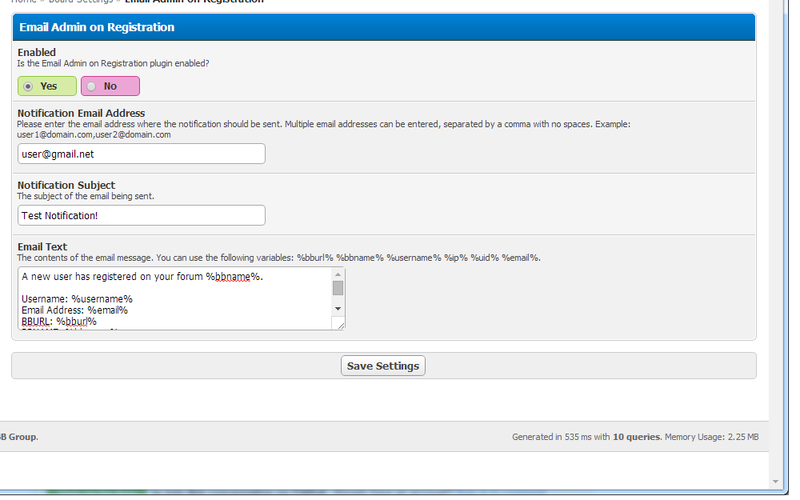 This plugin will add options to the registration form for users to enter their date of birth. You can choose to require a full date of birth, just a day and month, or make it fully optional. You can also choose to deny users under a certain age. 03/10/10 - v0.1 -> Initial 'beta' release. 05/10/10 - v0.1 -> v0.2 -> Fixed bug where the check would still be run in the Mod CP and Admin CP when editing a profile. Now only checks when you register or edit your own account. 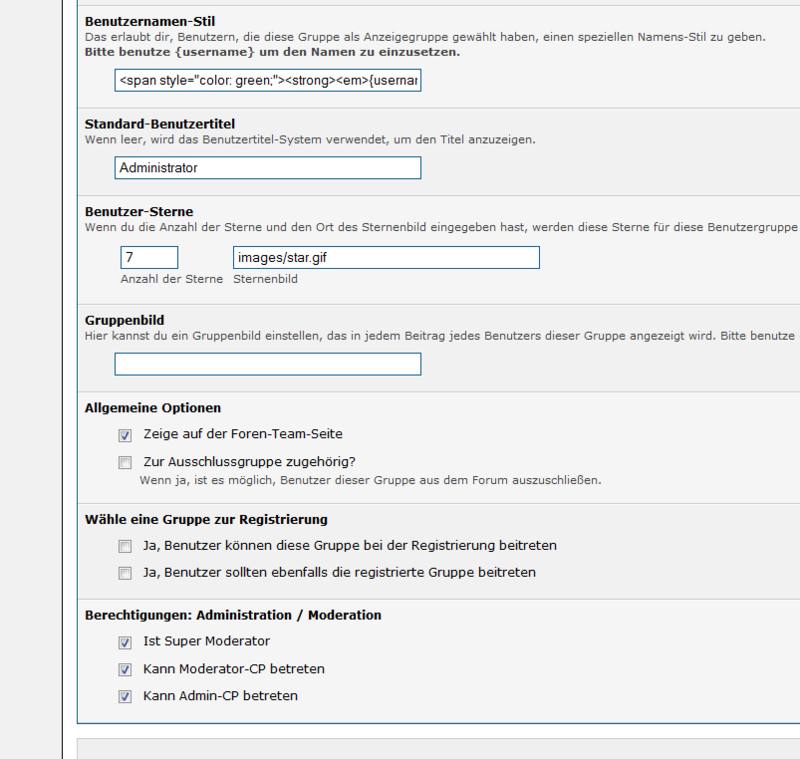 To upgrade, reupload ./inc/plugins/dobonreg.php. 13/10/10 - v0.2 -> v0.3 -> Fixed bug where you couldn't edit your birthday properly in the User CP. To upgrade, deactivate, reupload ./inc/plugins/dobonreg.php, activate. 23/10/10 - v0.3 -> v0.4 -> Improved how the birthday is validated and stopped bug where same error would be shown twice. One setting added, added ability to stop people registering or viewing forum if they tried to register and entered an underaged birthday. To upgrade, deactivate, reupload ./inc/plugins/dobonreg.php and ./inc/languages/english/dobonreg.lang.php, activate. 25/08/14 - v0.4 -> v1.0 -> MyBB 1.8 compatible. To upgrade, deactivate, reupload ./inc/plugins/dobonreg.php, activate. Adds option to add your date of birth in the registration form.